Olympus has had great success with their now firmly fleshed out OM-D camera line, and today’s review looks at the latest revision to the ‘entry-level’ OM-D, the OM-D E-M10 Mark II. I put entry-level in quotes because while the E-M10 Mark II sits at the bottom of the lineup of OM-D cameras in price, it’s not entry-level in any other sense of the word. The E-M10 Mark II is surprisingly full-featured, and doesn’t skimp on controls either. 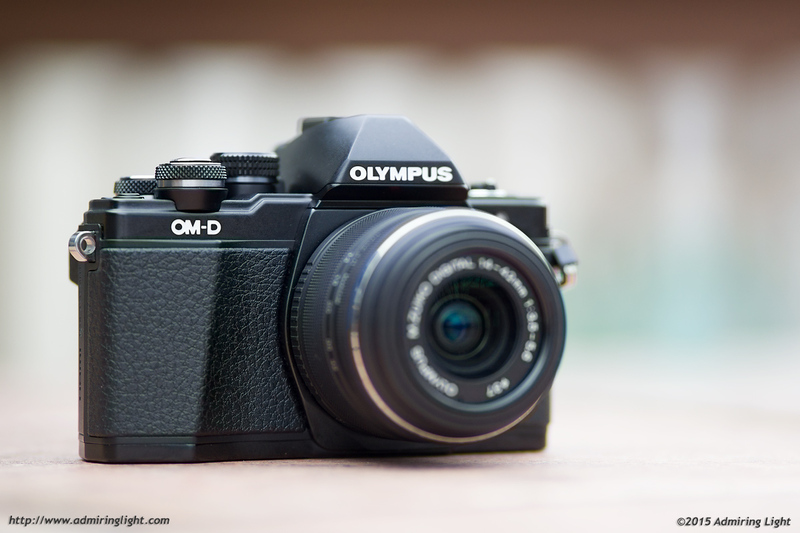 It’s a significant upgrade from the original E-M10, and even outclasses the original E-M5 in most areas. So, with the E-M5 II and E-M1 in the lineup, let’s find out why the E-M10 II should also be on the short-list of any serious Micro 4/3 shooter. Before we get started, I wanted to include a little note: I never had a chance to review the original E-M10, so you’ll notice that most of my comparisons tend to be in comparison to the original E-M5. The main reason for this is that the E-M10 II replaced my own personal E-M5 for my main Micro 4/3 body, and is therefore my primary frame of reference for this model. The OM-D E-M10 Mark II fits in beautifully with the rest of the OM-D cameras with its excellent combination of retro styling with modern controls. 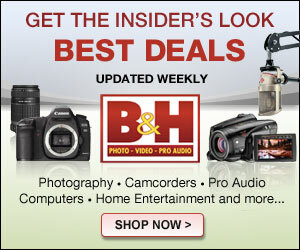 It’s a very attractive camera and is available in both black and silver. Both finishes are quite striking, with the silver showing more retro charm and the black looking sleek and serious. The camera isn’t quite as robustly built as the tank-like E-M5 Mark II and lacks the weather-sealing of the two higher-end cameras in the OM-D series, but the E-M10 Mark II still feels like a very well put together camera with excellent finish and quality. The body is a mix of polycarbonate and metal, with a metal internal frame covered by body of mixed materials. The main skin of the camera is high-quality polycarbonate covered in a hard rubber textured grip material. The top and bottom plates of the camera are metal and are painted with a flat paint on all surfaces except the very top, which has a brushed metal look. The lighter-weight metal and plastic mix makes the E-M10 II a notably lighter camera than the E-M5 II, but construction tolerances are no less precise. The camera is finished beautifully and the body has no flex at any point. The rear screen tilt mechanism is very robust and the pop-up flash is likewise sturdy. Only two parts of the camera belie the lower cost of the E-M10 II. First, the battery/SD card door is plastic and feels a bit flimsy. Second, the port access cover, which is located on the right side of the camera, is rubber and flexible. It’s not poorly made, and stays securely in-place during use, but when accessing the ports, the cover gets in the way a bit and makes it awkward to attach the USB cable to the camera. The E-M10 Mark II’s biggest external upgrade is to handling and ergonomics. Again, I didn’t handle the original E-M10, but the dial and button configuration was nearly identical to the E-M5, with which I have logged over three years of use. Like the E-M5 II, the E-M10 II moves the twin control dials from the original versions such that they are in the same position as those on the E-M1. This is a huge improvement, as both the front and rear dials fall naturally under your index finger and thumb, respectively. 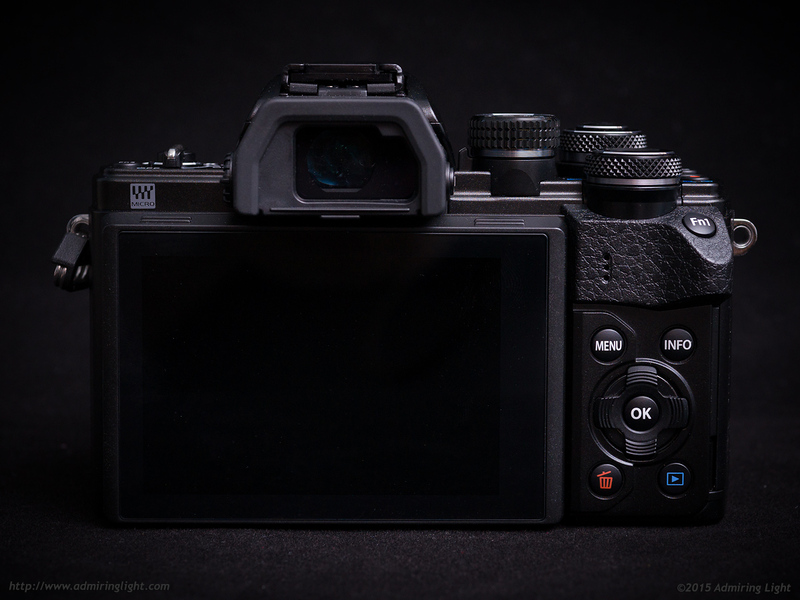 The E-M10 II’s subtle front grip is also changed from the vertical ridge on the original E-M10 to the slanted ridge first seen on the E-M5 II. This change makes a huge difference in comfort, and when using smaller lenses, the grip feels very natural and comfortable. The E-M10 Mark II doesn’t feature the small notch at the top that the E-M5 II has, and for that I’m grateful. That notch cramped my fingers when using the E-M5 II, but the E-M10 II’s grip feels great to me. The rear thumb grip is also well molded and provides for secure grip on the rear of the camera. The E-M10 Mark II is a small camera, but with the excellent control placement and decent grip, it handles beautifully. If you only use small lenses, the standard grip will work just fine. If you’re going to be using larger lenses regularly, you have large hands, or you simply prefer the handling of a larger grip, the $60 Olympus ECG-3 adds additional depth to the grip and height to the camera. The ECG-3 feels very comfortable in the hand and adds extra control, especially with large lenses. It also features a neat latch that detaches most of the grip to make accessing the battery and card door extremely fast and easy. This is a nice feature, but it also introduces a small amount of flex in the grip if your hand puts pressure on the top of the grip. 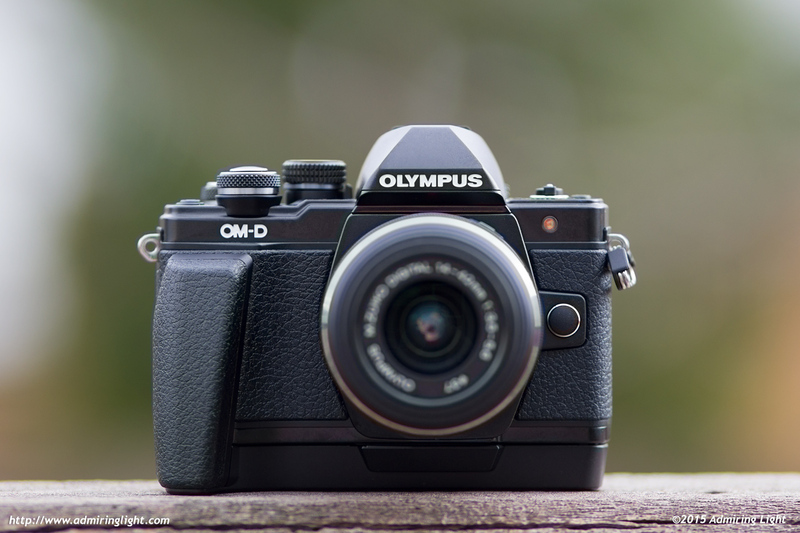 With or without the ECG-3, Olympus paid attention to how people use their cameras and did a great job with the ergonomics of the E-M10 II. One of the best things about the E-M10 II when compared to many other entry-level cameras, and frankly almost all mirrorless cameras, is the quality of the two control dials. First, it’s great that Olympus has decided to keep twin dials on their entry-level OM-D, as most companies cut out the rear dial when trying to cut cost. Second, the dials are impeccable in action and quality. The large and chunky dials are made of knurled metal and they move with a very satisfying click. The control dials along with the mode dial (now relocated from the left side to the right) are among the best feeling dials I’ve used on any camera. The power switch, which has moved to the top left of the camera, is a 90 degree switch that also is exceptionally satisfying to turn, with an almost spring-loaded feel that is both easy to operate and extremely difficult to knock accidentally. However, there are two small issues with the power switch. While I like that the switch also activates the pop-up flash when turning it past 90 degrees, the proximity of the switch to the flash hump causes your fingers to get in the way a bit, as you’ll inevitably brush your hand with the flash as it opens. Second, the Fn3 button often gets accidentally activated when operating the power switch, so I wouldn’t assign a function to that button that would be difficult to notice and problematic should you accidentally activate it. In all, I’m very impressed with the construction, ergonomics and handling of the E-M10 II. While the camera isn’t quite as robustly built as the E-M5 II, it’s still a very well made camera that feels great in the hand. I’m so pleased that Olympus didn’t skimp at all on the feel of operation as well. It’s a very satisfying camera to operate. 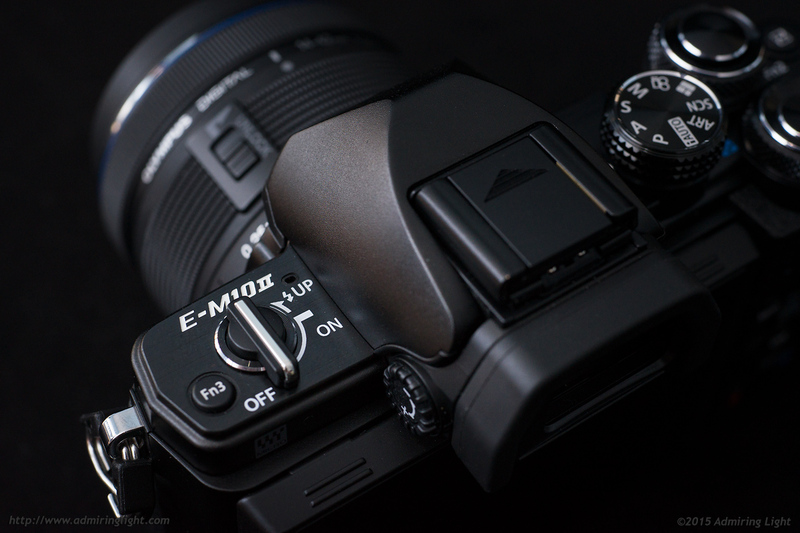 As I described in the section above, the controls for the E-M10 II are based around a twin-dial system, and Olympus has made sure to allow for plenty of customizability. While the E-M10 Mark II has fewer direct controls than the E-M5 Mark II, it adds additional customization vs. the original E-M10 or something like the original E-M5. The two control dials change their function based on the shooting mode, but operate like most any other twin-dial system. In aperture priority, one dial controls aperture while the other controls exposure compensation. The same is true for shutter priority and shutter speed control. 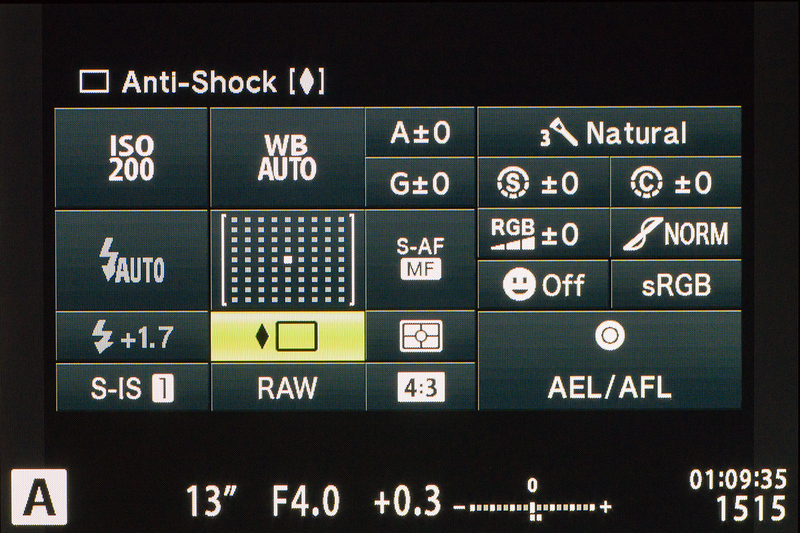 In manual mode, one dial controls aperture and the other controls shutter speed. 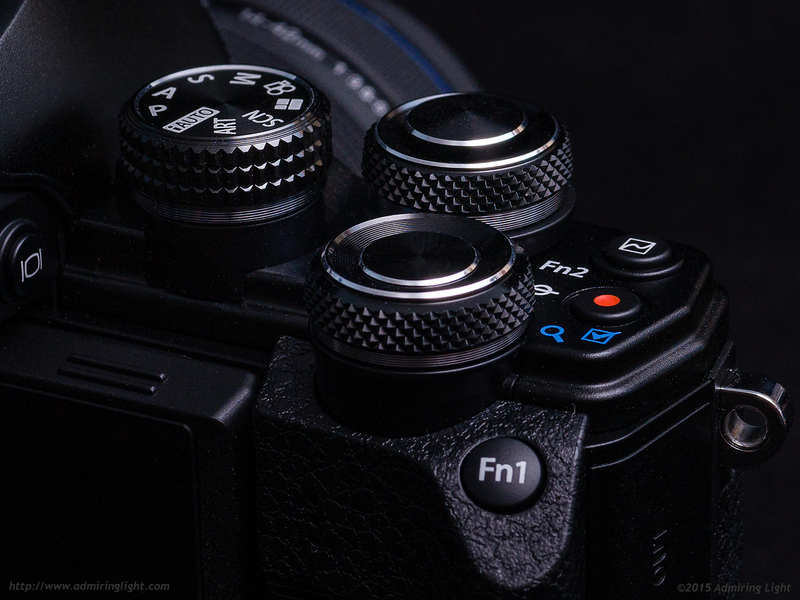 As is the case with essentially every control on the E-M10 II, the choice of which dial controls which parameter can be changed to your preference. The top of the camera features the two control dials, the PASM mode dial, two programmable function buttons, the movie record button (which can also be programmed as an additional function button) and the power switch. The Fn2 button and movie record button located on the right side of the top plate are both easy to access with your index finger and the Fn3 button next to the power switch is also easy to access, though easy to accidentally press while using power switch. The E-M10 Mark II lacks the 2×2 switch found on both the E-M5 Mark II and the E-M1. This switch allows those models to switch the function of the two dials to control white balance and ISO and I found it to be a great feature. Thankfully, Olympus still keeps this functionality on the E-M10 II despite the loss of the switch itself by allowing the switching of the dial functions to be assigned to one of the programmable function buttons. I have chosen to assign this to Fn1, located on the thumb rest, which can be easily accessed with a shift of your thumb. The rear of the camera will be familiar to current OM-D users, as the four-way control pad found on the back is identical to the one on the E-M5 Mark II and is flanked by the menu, info, trash and play buttons. The four-way buttons can be configured for direct access to focus point selection or can function as additional programmable function buttons. The degree of customizability with the E-M10 Mark II is remarkable. Olympus has always allowed for extreme levels of customization, but it’s nice to see that they don’t handicap the E-M10 II in any way compared to the higher models in the OM-D range. The degree to which you can customize the camera to your shooting preferences is a double-edged sword. It’s great to have the expanded capability to set things how you like, though it comes at the expense of added complexity, and nowhere is this more apparent than in the menu system. While the menus will be familiar to any recent Olympus shooter, it doesn’t stop them from being extremely complex. Things are organized well, but it can be challenging to find the setting you’re looking for simply due to the sheer number of options available. In more cases than not, though, the extra flexibility is excellent. From the separate settings for Live View Boost for each shooting mode to preferences on button and dial operation or the operation of the viewfinder and screen, if you have a preference for how the camera should operate, chances are there’s a setting to make it happen. In addition to the regular menu system, the center button on the rear of the camera accesses the Super Control Panel, which provides a quick look at all the major shooting parameters from the stabilization settings to RAW/JPEG settings, to drive mode, metering and focus mode. 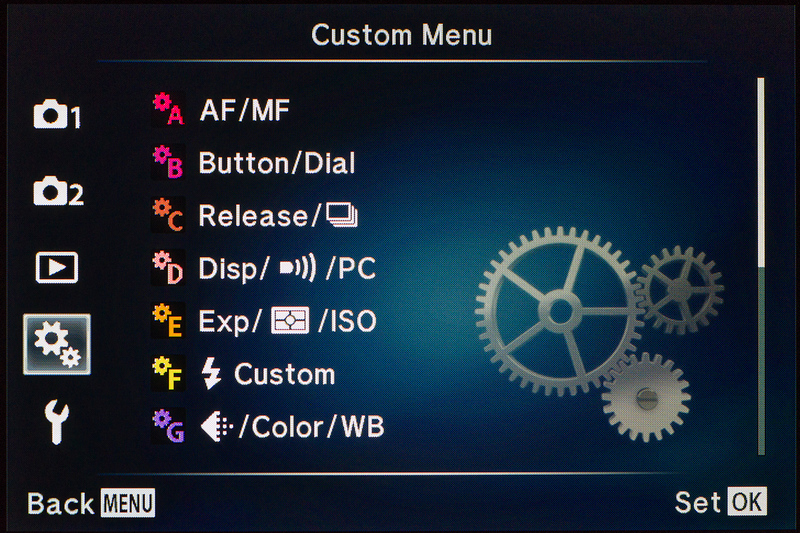 It’s quick and easy to navigate, and an excellent way to make quick settings changes. Finally, the camera has a capacitive touch screen that allows for further control while shooting, which we’ll talk about in detail next. A very useful review. I have a 4/3 system camera – e420 – am I’m looking to move to micro 4/3. I want to keep the camera as small and light as possible, but still use my Olympus accessories. Your explanation of focus bracketing and touch AF helped a lot. Thanks for taking the time. Anyway please would mind elaborating about your postprocessing workflow at elast a little bit ? What software do you use ? And I guess that you process colors (or say individual color channel curves) quite hugely for each shot right ? You have over time become my favorite reviewer of cameras and lenses. Thanks for a great review! 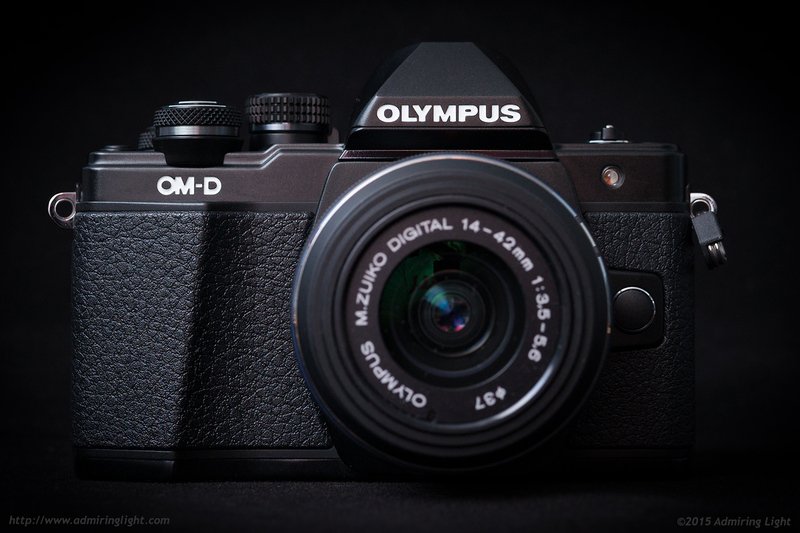 I’m seriously considering selling my Canon T3 and going with an Olympus OMD EM10.2. Your review is very thorough and helpful. Your images are terrific! Do you offer coaching or teaching services? I’m based in CBUS. A very timely assessment, considering that Olympus is shaving off $100 [or $200 on the E-M5 Mark II in time for the vacation season. On pg. 2 under Autofocus Performance, one reads: “Like the E-M5 Mark II, the E-M10 Mark II features a contrast-detect only focus system”. “High speed imager AF (Contrast detection/On-chip Phase-difference detection”). If the info is correct, the loftier price may become more acceptable.